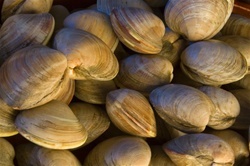 Maine Little Necks are a great complement to your family gathering. Great on a grill or at a dinner table. Order by the LB. We recommend 1 to 2 LBS per person.